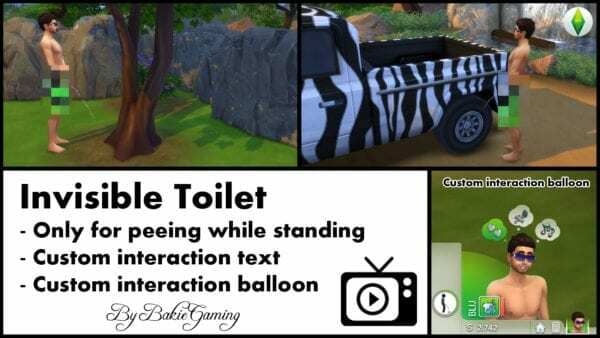 If you want your male sims to get their pee on in the wild, this mod is the one for you. With it, you can place an invisible toilet anywhere, and your sim will appear to be peeing on that spot. Put it in front of a sim you hate, go on.